But Pan’s Labyrinth, at least, is diminished by a philosophical error that can be overlooked given how otherwise magnificent it is as a film. La La Land, for all the effervescence of its sensational score or the chemical reaction of Ryan Gosling and Emma Stone, is illusory in almost every aspect – and has nowhere near the craft of a Pan’s Labyrinth. Although presented and structured as a romantic comedy, the film proves itself the opposite of romantic. Romance presupposes a commitment to love, whether it’s the love that conquers all, as comedies would have it, or love worth suffering and dying for, as the tragedies declare. “Love is the drug,” as Roxy Music puts it. La La Land initially plays the melody of a romantic comedy – unlikely couple meet and fall in love – but ends on a melancholy note of regret over the path not taken. (Woody Allen purposefully explored the same theme in Café Society with greater focus and emotional heft, despite a similar tendency to trade in clichés and hackneyed insights.) The turn towards the bittersweet feels like a wrong note in La La Land. 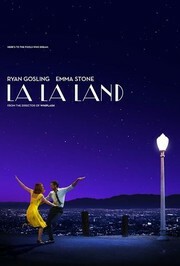 Partly because it’s tacked on with a 5-years-later epilogue, but mostly because writer-director Damien Chazelle splits his leads – a jazz pianist who dreams of owning his own nightclub and an aspiring actress struggling for her big break – for the flimsiest reason: an inability, or unwillingness, to reconcile their relationship with their career dreams in a situation where no sacrifice is necessary. We can interpret it in two ways: either they choose their careers at the expense of their relationship, or the film manipulated the scenario so that pursuing one’s dream requires sacrificing love. Neither option is romantic; romance is understanding that one’s dreams are best achieved when the journey is shared with the people we love. The other deception La La Land foists on audiences is that it is an homage to Los Angeles in general and Hollywood in particular. But Chazelle, who hails from the East Coast, falls into a common trap when trying to make a character out of a city like LA: equivocating the distinct character of specific places with the persona of the whole. Sure, La La Land opens with the familiar cliché of LA’s notorious traffic, then graces us with scenes at the iconic Griffith Observatory. But LA is not defined so much by places then the connection between places. Films like Swingers and LA Story understood this, and remain even today insightful portraits of a sprawling metropolis and what it’s like to live in it. La La Land, however, retreats into advertising a tired Hollywood promise: work as a barista and fruitlessly audition for parts long enough, and maybe, by chance, you’ll meet the right person at a party or casting call who’ll give you that almighty break. The Hollywood Dream, brought you to by the Golden State lottery. Here’s the thing: if it’s a film about the magic of movies you want, Michel Hazanavicius delivered it a few years ago with The Artist, an imaginative and quintessentially cinematic revival of the silent film that also succeeded in actually being romantic. So did Martin Scorsese with Hugo. And if it’s Los Angeles you want, the aforementioned Swingers and LA Story are worth revisiting. As for romance, there’s no shortage of films to inspire all the lovers in the world. Yet for all that La La Land really amounts to Hollywood loving itself, it’s an enjoyable revival of the movie musical –when we stay on the surface. The song-and-dance numbers are energetic and captivating, beginning with an opening scene on a gridlocked Los Angeles highway with happy motorists demonstrating that we’re about to watch a fantasy. Ryan Gosling and Emma Stone succeed in creating genuine characters we become vested in, even if Chazelle ultimately undermines them. La La Land isn’t Best Picture material but, with the understanding that this isn’t a romantic comedy, it isn’t a total write-off either.